All bookings are only confirmed when full payment has been made. All classes must be booked online and no cash is accepted at the venue. Classes are non transferable and non refundable and only class credits will be offered. Card payments cannot be taken in person, but can be taken over the phone. Any mistakes made by the student cannot be rectified at a later date. Please check all the details are correct before making payment. Refunds on Courses/Workshops/Events will only be given with more than 48 hours notice of the course start. There will be an administration fee charged of £10 for all refunds. Any cancellations within 48 hours of the workshop/course/event start date or time will not be refunded. We will not refund any monies once the course has started under any circumstances. Weekly classes can be cancelled up to 2 hours prior to the start time and a class credit will automatically be added to your account. Classes cancelled within 2 hours of the class starting will not be given a class credit. If you have made a booking but then decide to change to an alternative course, event or workshop we require at least 48 hours notice and it may be subject to an administration fee. To avoid any unnecessary costs, please ensure you have made your booking for the correct day, course and event. Sessions during courses or terms are also non-transferable and non-refundable. 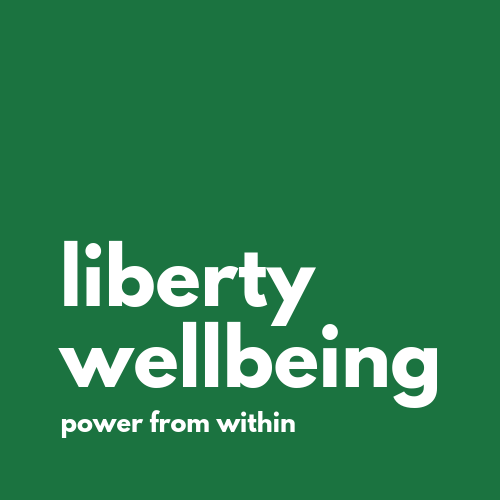 If for any reason Liberty Wellbeing need to change or cancel a course, event or service, we will let you know as early as possible and offer an alternative. If that day does not suit you, a full refund for that class/event will be issued. Before attending your first class, course or workshop, you are required to fill in a brief medical questionnaire and to say you are fit and well to take part in the class. The link for this will be on the confirmation email that you receive after your booking is confirmed. Alternatively, you are able to complete the health questionnaire on this website which is available within the 'info' tab. It is your responsibility to inform Liberty Wellbeing of any changes to your health thereafter. If you are in any doubt about your health you should consult your doctor. If you arrive late for a class you may not be allowed in and the class will be forfeited (so please don’t be late). Liberty Essentials, Liberty +, Liberty Unlimited, Liberty Bronze, Liberty Silver, Liberty Gold, Liberty Platinum: Memberships are automatically renewed each month. Class credits are not transferable to a friend or family member. Additional class bookings must be made independently of a monthly subscription and paid for at the drop in rate (currently £8.50). If you have a membership with us, please ensure you are paying the correct amount before proceeding with the transaction. Classes booked in error by students will not be refunded. You can cancel your membership at any time by emailing hello@libertywellbeing.co.uk. We'll be sad to see you go! However we can do that for you. There is no cost to cancelling. If you would like to pause your membership, you can do this for a minimum of three months, and there is no charge. Email hello@libertywellbeing.co.uk and we’ll arrange that for you. You can pause your membership as many times as you wish. Liberty Wellbeing may, at times, offer promotional codes for discounted classes and money off coupons. Students are responsible for entering the promo code when prompted at the point of booking. Mistakes cannot be rectified after the booking transaction has been completed. Promotional codes are valid for only certain products and periods of time so please ensure you have all the correct details when you book.